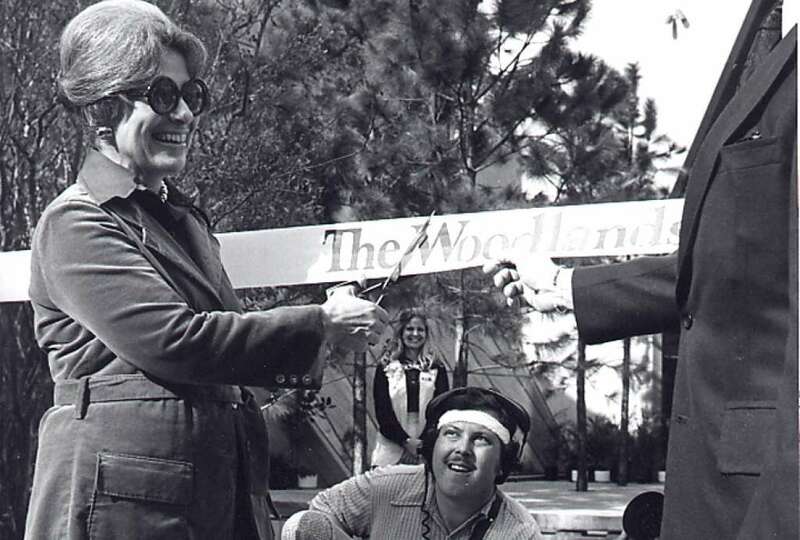 Many profess to know what vision the Mitchells had for The Woodlands when it was launched in the 1970s. I say the Mitchells because Cynthia Mitchell was also a big part of creating the vision. But few know the story better than Roger Galatas who was responsible for the full range of business activities and strategic planning for the 28,000-acre development, marketing, management and financial performance of all Mitchell Energy's assets. Mr. Galatas is quoted saying that "George Mitchell wanted to build a community where people could live, work, play and learn. That was our guiding principle. Our mission that George gave us was to save the trees. It was pretty simple - and we can still enjoy that today." The original development plan called for saving 23% of the forest, a goal unheard of in suburban development at the time. Today, the actual number is 27%. The Township continues to sustain this legacy with its ongoing reforestation program. I also think understanding Mr. Mitchell’s HUD submission in 1972 is an important reference in understanding his vision. This document presents a very comprehensive view of his vision at the very beginning of the journey. When I read this document, I am amazed at how relevant his vision is still today. Of course there have been some changes- Creekside Park is now the eighth village. Some changes were required by changes of market forces and financial realities, especially with the Houston economic downturn in the early eighties, when it would have been easy for Mitchell Energy to walk away from The Woodlands. A book by Ann Forsyth, Reforming Suburbia (2005), is also a good read to understand the differences from the initial plans to what evolved. Forsyth reviews and evaluates the evolution of the so called suburban development "experiments" of the 1960s and 1970s (Irvine, Columbia and The Woodlands) where innovative developers sought to reshape the US suburban landscape. In some areas, these communities appear to have succeeded less than in others-- for example, providing affordable, low cost housing (was their success the culprit?) and providing alternate transportation choices (a need we continue to struggle with today). Mrs. Forsyth attempts to delve into how these three communities were designed and how, from her perspective, they have turned out. Of course her conclusions are somewhat dated (2005) and some things have changed in The Woodlands since then, especially the increased ability to provide jobs within our community. But she does provide a comprehensive summary of the achievements of these three communities against the backdrop of her perceptions of the general benefits and criticisms of suburbia. But notwithstanding the pros and cons, The Woodlands is an outstanding community and one of the most highly rated in the nation.